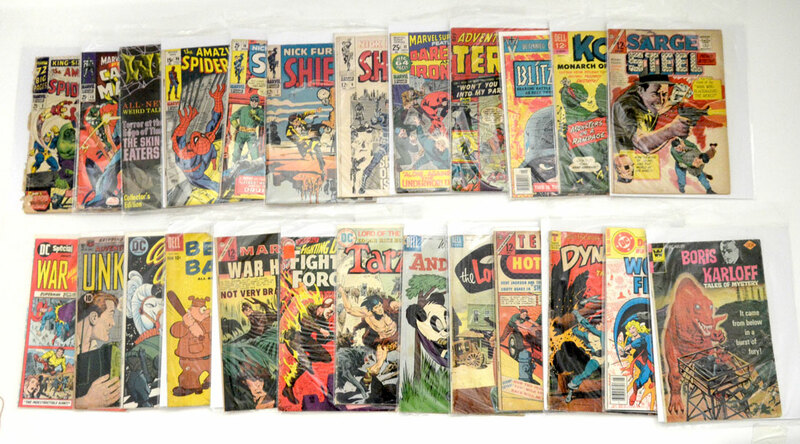 COLLECTION OF 25 GOLDEN & SILVER AGE COMIC BOOKS: Ungraded, but primarily fair to good condition. To include DC Special War Against the Giants #19., Adventures Into the Unknown #79, Wonder Woman #208, Beetle Bailey #23, Marine War Heros #8, Tarzan #226, The Fighting Devil Dog! 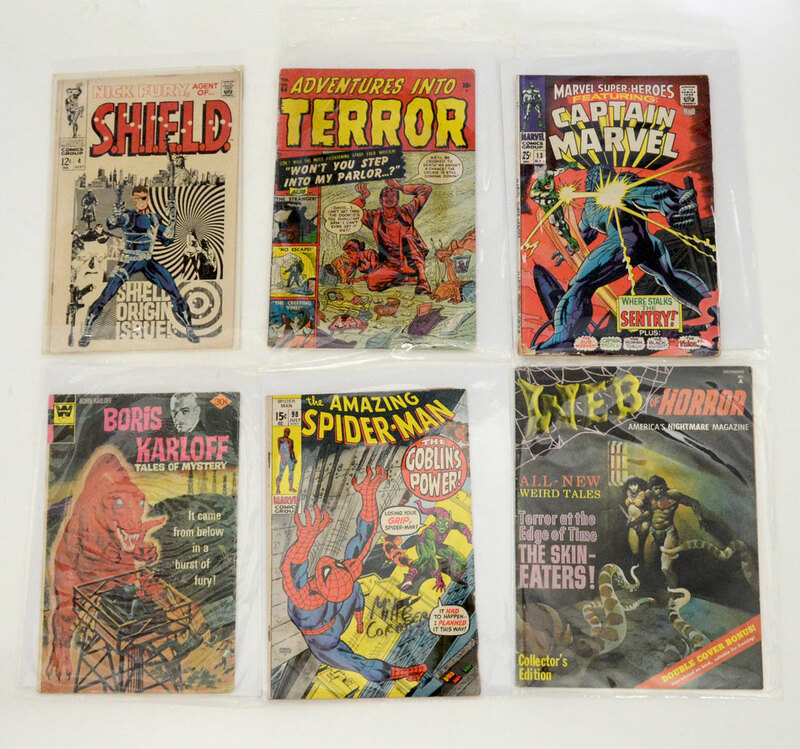 in our Fighting Forces #96, Boris Karloff Tales of Mystery #71, Andy Panda #51, The Lone Ranger # 77, Teenage Hotrodders #8, Dynamo #1, DC World's Finest #250, Blitzkrieg #3, Kona Monarch of Monster Isle #17, Sarge Steel #2, Adventures into Terror #2 (numbered 44 on cover), Marvel Super-Heros Featuring DareDevil & Iron Man #31, The Amazing Spiderman #98 (large writing on cover), Nick Fury Agent of S.H.I.E.L.D #4, #7, #18, Web of Horror #1, Marvel Super-Heroes Featuring Captain Marvel #13, King Size The Amazing Spiderman #3 (cover has torn off).